For the skier who wants the utmost in outerwear performance without looking anything like a spandex-clad racer, the Obermeyer Siren Faux Fur Insulated Ski Jacket is a chic, unassuming piece. Looking at its neatly cut fabric and faux fur trim, you wouldn't even guess it's a full-fledged ski jacket. But the 15K waterproof-breathable stretch fabric, built-in ventilation, and water-resistant powder skirt make it so. Mapped PrimaLoft® insulation adds warmth, while quilted stretch side panels improve fit for a truly great look. For those times you need to hit the slopes straight after brunch or rack the skis and immediately hit the town, the Siren makes the transition easy. "Is the sangria color more like red or pink?" "Thank you for your inquiry. The Obermeyer Siren Faux Fur Insulated Ski Jacket in the color Sangria would be compared to the color of a raspberry. It does have hints of red and pink tints. We hope this information helps." "Is the hood on this jacket helmet compatible? " "Thank you for your inquiry. The hood is helmet compatible, adjustable, removable hood with removable faux fur trim. A fully adjustable hood assures a great fit. We hope this information helps!" "Is the faux fur removable?" "Thank you for your inquiry. Yes, the faux fur is removable. We hope this information helps! " "Is the fur detachable from the hood? " "Thank you for your inquiry. 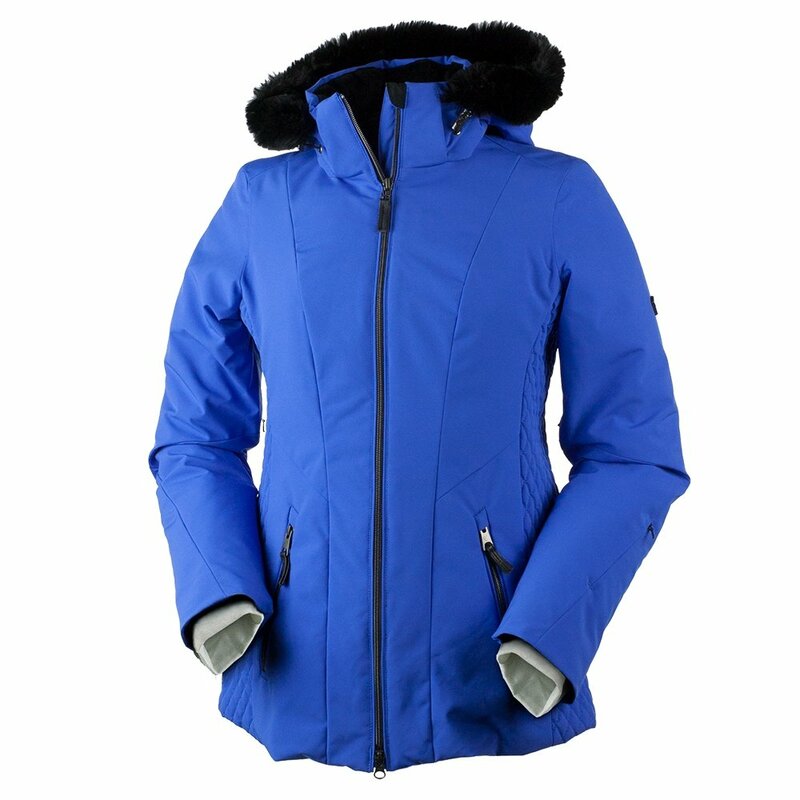 Yes, the Faux Fur trim is detachable from the hood on the Obermeyer Siren Insulated Ski Jacket. We hope this information helps! " Only problem was I needed a larger size which you do not carry! So...I am working out to get this jacket to fit I ABSOLUTELY love this jacket. Totally beautiful...worth my efforts! !